Butterflies – Very large collections of butterflies are conserved in museums, colleges and/or universities where they are maintained and studied by specialists known as entomologists. 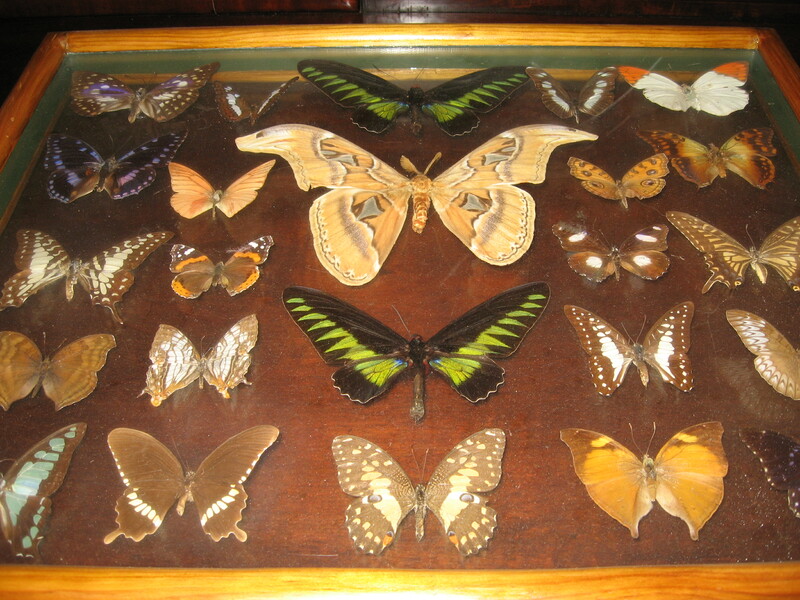 Many amateur collectors and enthusiasts can also be referred to as entomologists. As a hobby, insect collecting became popular during the Victorian era. Butterflies, like many other insects have hard exoskeletons that retain their form after they die, making it easy for them to be preserved for collectors. There are specific procedures for proper mounting of insects, that are used to show off their unique characteristics. For example, the wings of a beetle or grasshopper can be pulled open and fanned out to show the wing structure that would otherwise be hidden. This entry was posted in QuestionableArt, TheGood and tagged butterflies, entomologists, entomology, hobbies. Bookmark the permalink.